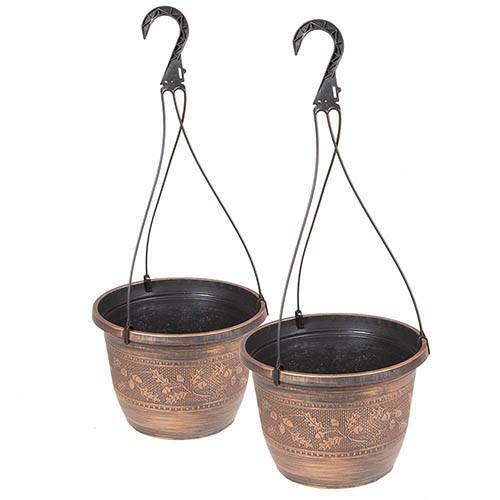 Create a classic statement in your garden with this pair of copper-effect, acorn hanging baskets. 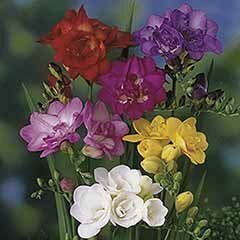 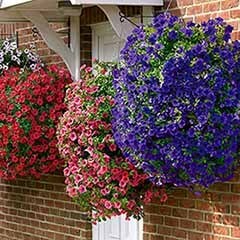 Stylish hanging baskets with colour matched, clip-on hangers so you decide whether to use as a pot or a basket. 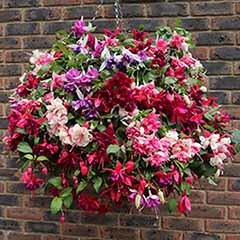 Perfect for bedding, trailing houseplants and more, this stunning pair of copper-effect rustic hanging baskets will add a stylish, classic look to your home or garden. 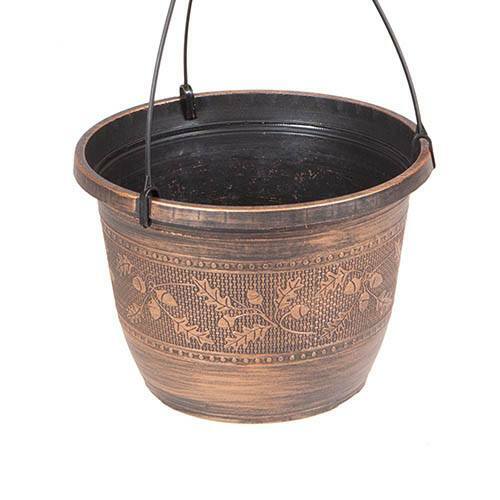 Featuring a traditional acorn design with a hand painted, copper-effect finish, these baskets make a statement wherever you use them. 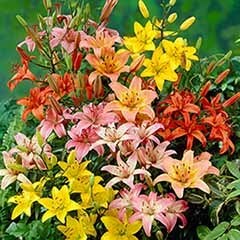 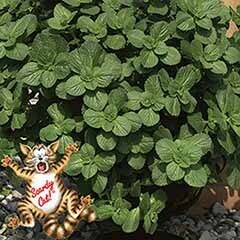 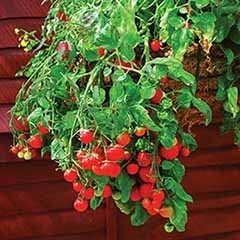 The attractive hanging containers come with colour-matched clip on hangers so you decide whether to use them as a pot or a basket. 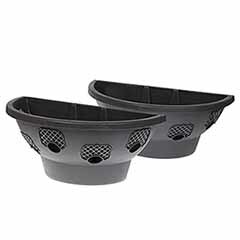 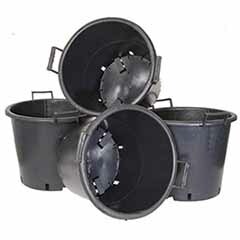 With a traditional acorn pattern, these weather-resistant, plastic baskets are UV stable and will really last the test of time meaning you can use them year in, year out. 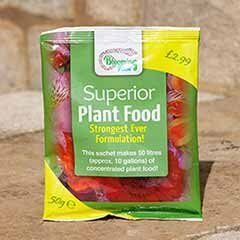 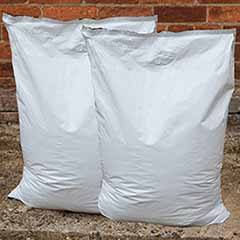 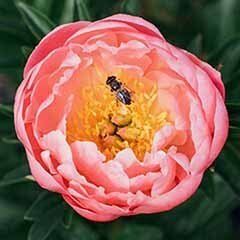 Made from heavy-duty injection moulded plastic, they're tough and durable, and also frost and UV resistant, so they’ll withstand the worst of our British weather too! 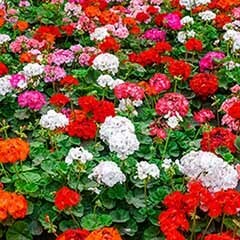 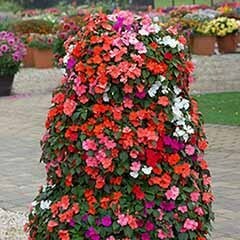 Brilliant value, we supply 2 x 25cm (10in) Plastic Hanging Baskets. 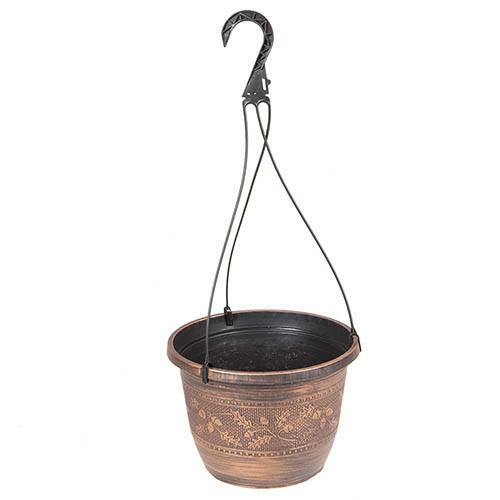 Brilliant value, we supply 2 x 25cm (10in) copper-effect plastic hanging baskets with an acorn design - use them hanging or as a pot!